This article is an update about the data collected by the polls on this website. The data was collected from June 2014 to September 2017. This updated summary reports poll data from about 3,000 individuals (about three times the amount since the last update). This article is an update about the data collected by the polls on this website polls which are located HERE. This updated summary has website poll data from about 1,100 individuals (about twice the amount since the last update). This data is specific to the population of visitors to this website who take these website polls and may not be applicable to other populations. Below is a short summary of the data, followed by the full data from the polls. My co-investigators and I are still collecting data for our on-going ASMR research survey. That research survey has collected data from 13,000 individuals. Information about that research survey is HERE. This blog post is an update about the data collected by my website polls which are located on the “First Time Visitor” page. My prior summary of the website poll data was when there were data from about 150 people. You can read about that prior summary HERE. This updated summary has website poll data from about 600 people. This data is specific to the population of visitors to this website who take the website polls and may not be applicable to other populations. 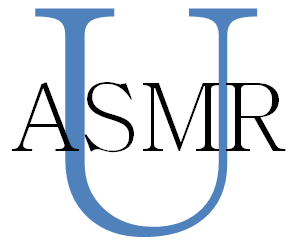 My co-investigators and I are still collecting data for our on-going ASMR research survey (information about that research survey HERE). But I do have some data to share from my website polls. Below are responses from visitors to this site who answered the polls on the “First Time Visitor?” page. There were 130-161 respondents for each question. If you would like to see the full data from the polls, including which responses were least selected, then keep reading.